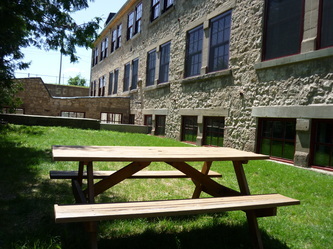 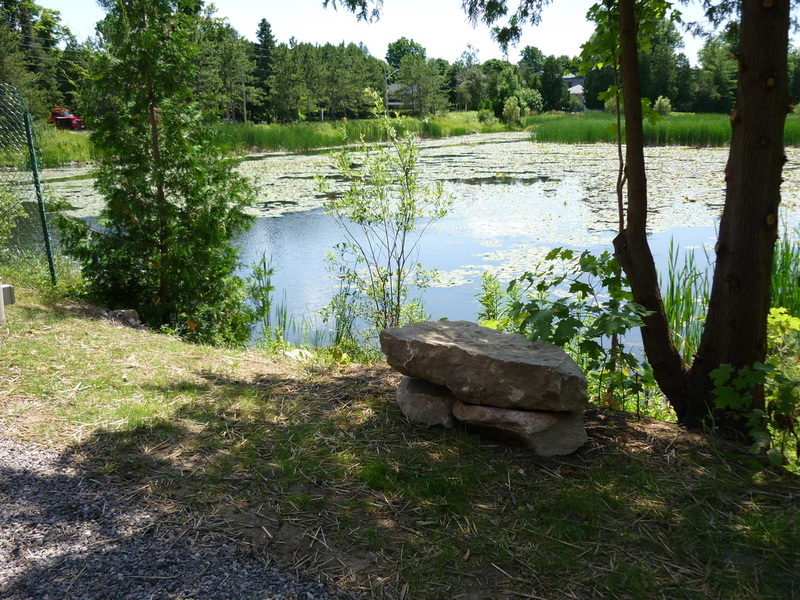 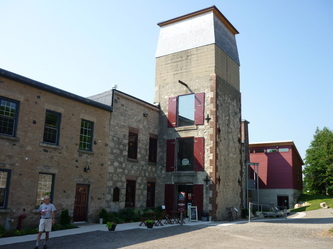 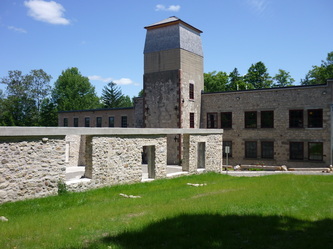 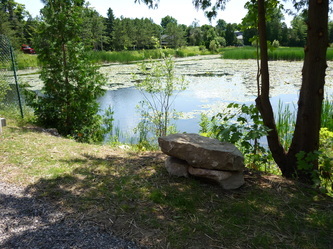 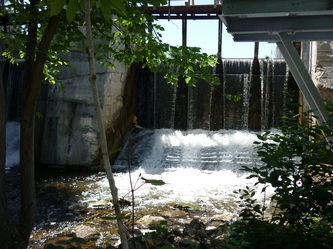 Located in the historic Alton Mill Creative Arts Centre. 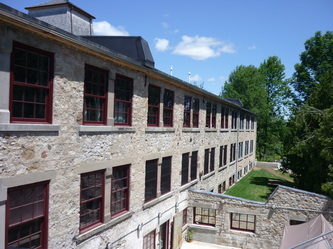 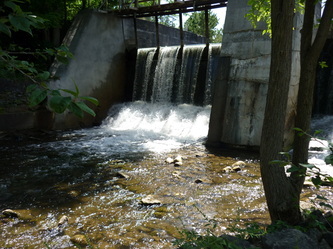 The Alton Mill, on the edge of Shaw's Creek, was built in 1880 as a woolen mill. 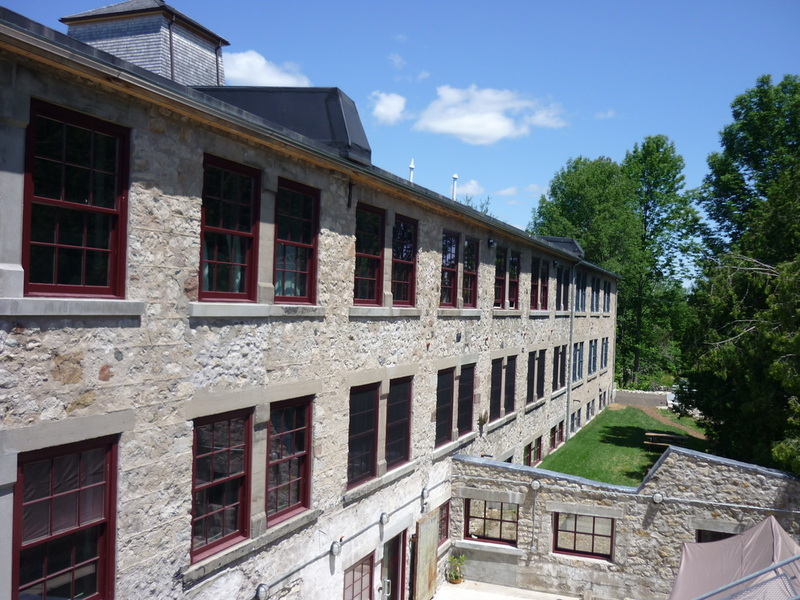 In the 1930's it was converted to a rubber factory and continued operation until 1981. 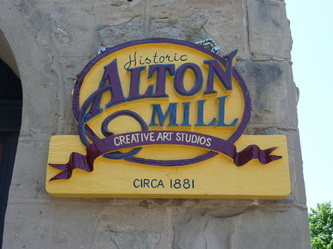 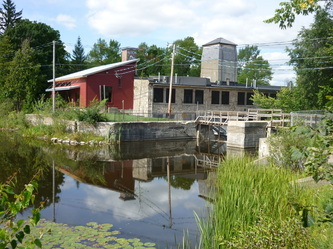 Now meticulously restored to a new use, with many of the historical features intact, the Alton Mill is now considered the hub of the region's arts community. The Alton Mill has come back to life with over 20 artists working in their individual studios, public galleries with ever changing shows, a jewelry store, pottery, fine glassware, fair trade gifts and the Shaw's Creek Cafe with fresh baked treats and original lunch menu. 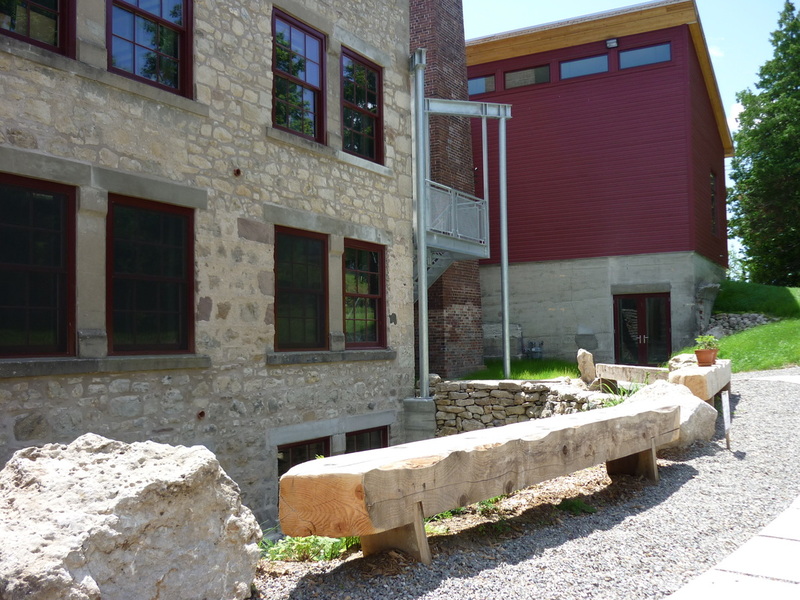 Meeting space and party space is available for your private and corporate functions in the Millrace Room next to the historical exhibit in the Turbine Room. Mark your calendar for a visit to Caledon's premier day trip destination!